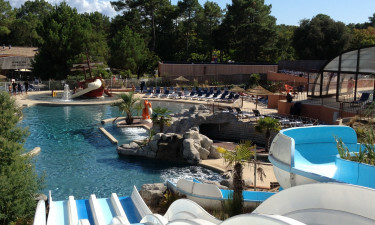 Le Palace is a luxury camping site set in a wooded area beside the historic seaside village of Soulac-sur-Mer in southwestern France. This family-friendly environment offers luxury camping and plenty of fun-filled activities to keep the kids happy throughout the day. Parents will appreciate the comfort of a mobile home bookable through LuxCamp. 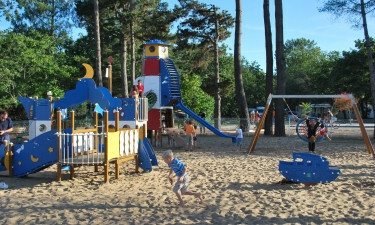 If camping luxury is your ideal family camping holiday, you can’t do better than Le Palace. Treat your family to the camping holiday of a lifetime at Le Palace. In addition to a huge and sensational water park for the kids, the campsite provides a soothing whirlpool, sauna, and hammam. 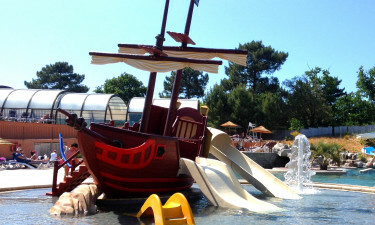 The water park at Le Palace is a stand out with large outdoor and indoor swimming pools, five slides, and a new feature - the space hole. As an added bonus, a countercurrent river flows along the side of the interior pool. Memories of the fresh sea air and long leisurely afternoons spent at the seaside will stay with you through the winter. The sandy beach is located a short walk from Le Palace.